It's here!! 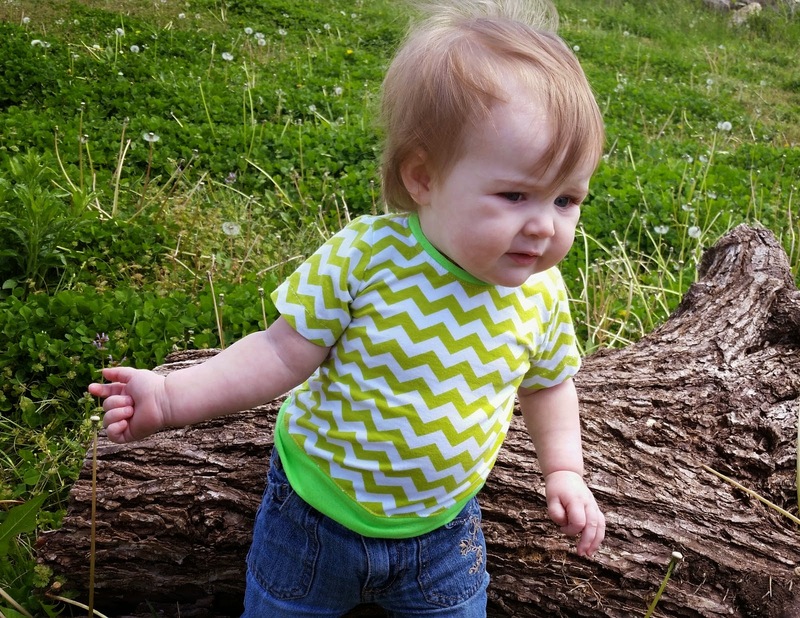 The Girl's Tinley Tee comes in sizes 12 month to 12 years. Now available in our Shop. 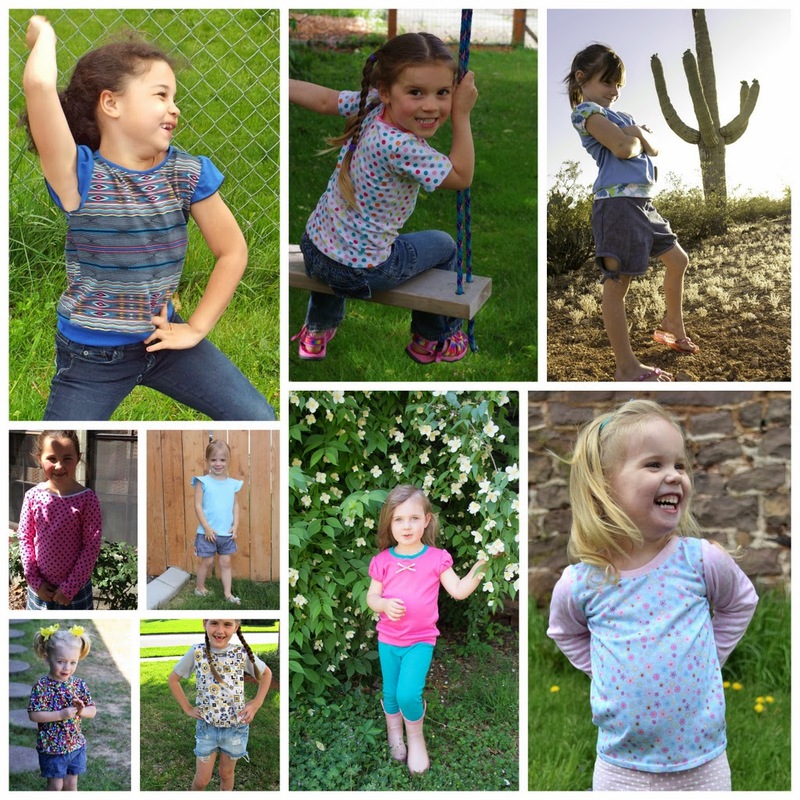 This versatile pattern comes with 4 sleeve options: flutter, gathered cap, short and long sleeves. It also includes two hem options: regular or banded. Want more options? You can pick your favorite sleeves and layer them. This adds even more options. A Great beginner PDF Pattern. 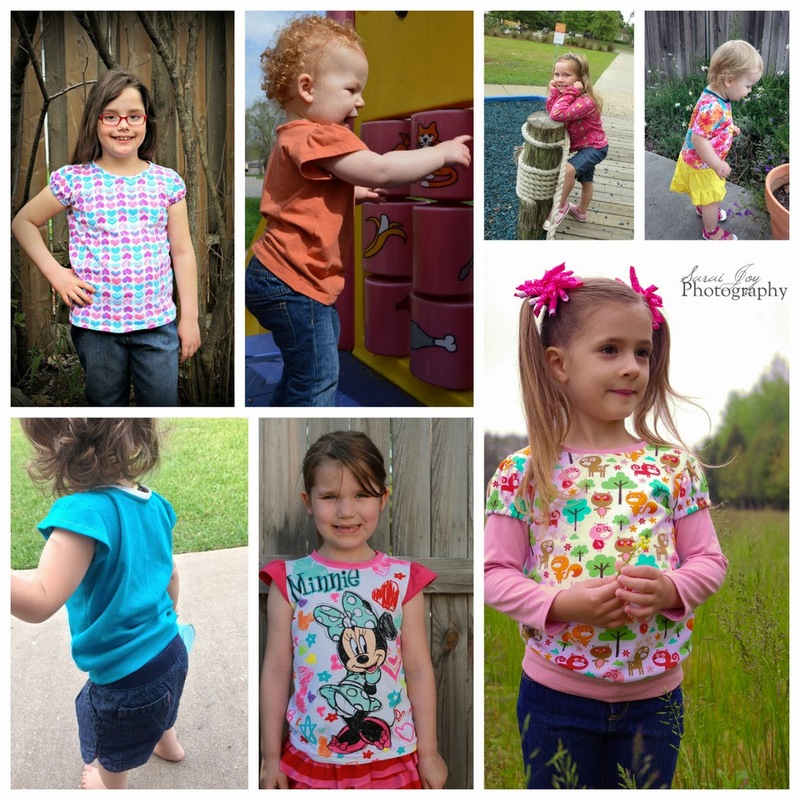 Includes step-by-step instructions, full color photos, and full size pattern pieces. Comes with pattern pieces for sizes 12 month, 18 month, 2, 3, 4, 5, 6, 7, 8, 10, and 12. 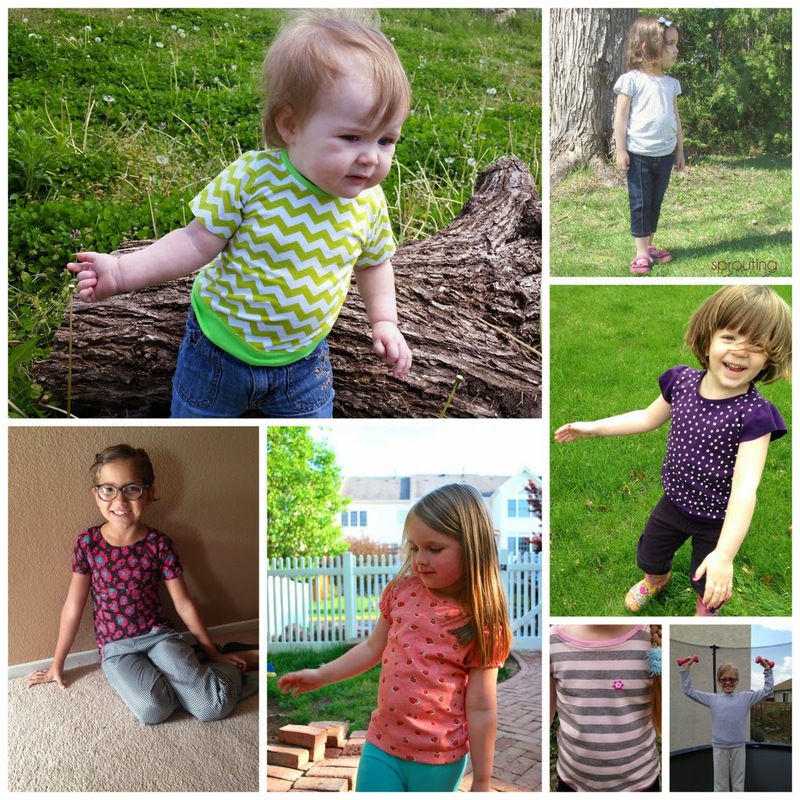 Includes instructions on how to create a banded or regular hem for more great looks. 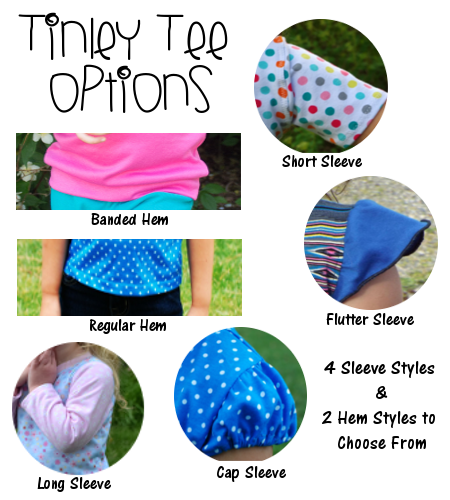 Mix and match your sleeves and hem to create several fun looks! This is a great addition to any basic pattern collection. Practical and good for all seasons. Now, I can't stop showing all these adorable tester photos! Love all these cute girls and their cute shirts!! Grab the pattern here in our Shop. Now for even more tester photos!! 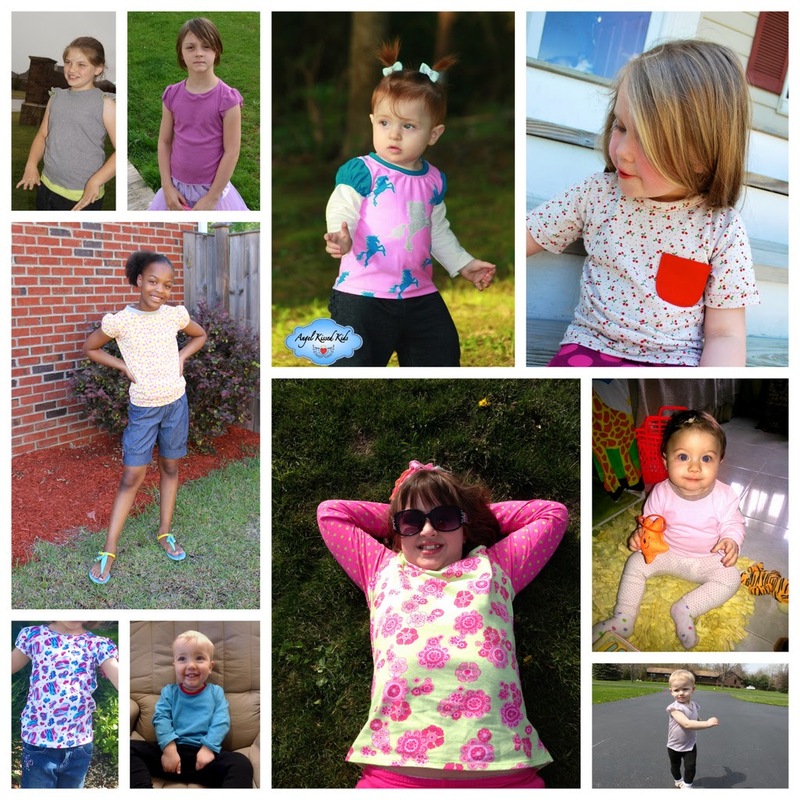 Make sure to check out some of my awesome Testers Blogs and Shops!!! !